The NoGo - a super bollard and security device designed by Rogers Marvel Architects to block streets. "A streetscape security device", the NoGo is a mixture of street furniture, security design and minimal art. 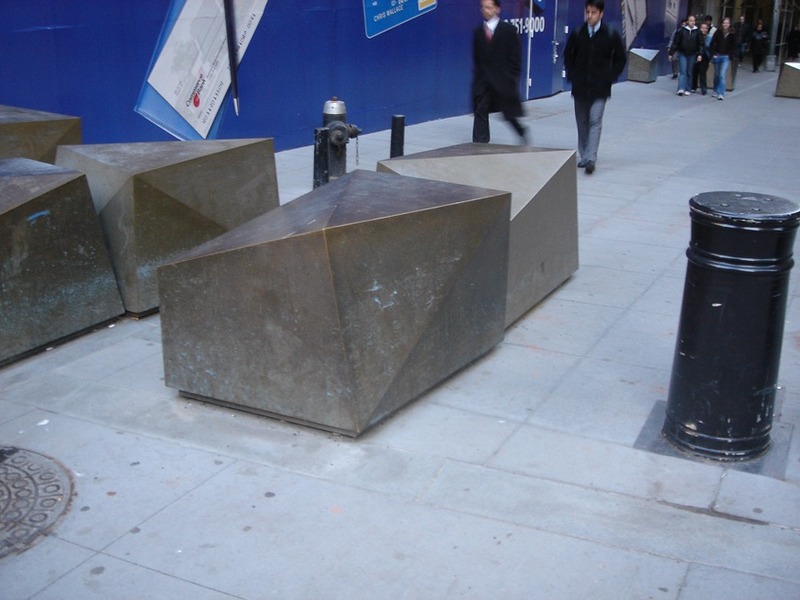 It has been exhibited at the Museum of Modern Art, NYC and can been seen in and around the Wall Street area, downtown New York. “What we want to do is put an invisible hand into the security envelope,” Jonathan Marvel, principal with Rogers Marvel.